24mg or 2.4% strength nicotine e-liquid is generally the highest strength e-liquid available to buy in the UK. It is best suited to people who are just transitioning from tobacco cigarettes to electronic cigarettes, those who where previously smoking 20 or more cigarettes per day, or people who have tried lower strength e liquid and found that it didn’t quite give them the nicotine satisfaction they need to kick the tobacco completely. Is 24mg / 2.4% E-Liquid Still Available to Buy? 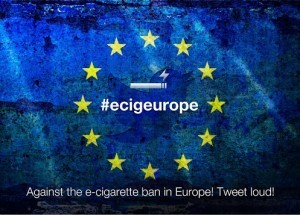 With the introduction of the EU Tobacco Products Directive back in May, high strength liquid over 20mg (2%) will be prohibited. However, this ban does not come into force until May 2017 so high strength 24mg 24 mg nicotine liquid is still available to buy and we have stock available for all customers here until May 2017. Now is the time to use this e-liquid if lower strength e-liquid was not enough, as it will give you plenty of time to slowly transition to lower strength before the ban comes into force in May next year. What Device is Best for High Strength 24mg 2.4% E-liquid? When using high strength e-liquid like 24mg it is best to use a medium power device with “mouth to lung” inhale, this means drawing the vapour into your mouth before inhaling into your lungs, just like you would with a traditional cigarette. Using a high power device with large airflow and “direct lung inhale” will prove to be very harsh and not very enjoyable with high strength e-liquid, the throat hit would be very intense! For that reason we suggest using our most popular mid ranged device: the Endura T18 starter kit. This is a high quality piece of kit that gets rave reviews and is very well suited to high strength e-liquid due to its air flow design and “mouth to lung” inhale. What is the best high strength E-liquid Flavour? At CigElectric we have a wide range of flavours and strengths to enjoy and pride ourselves in offering the best cheap 30ml e-liquid in the UK. Our most popular flavours are Tobacco Blend, Golden Tobacco, RY4 and Menthol Sensation, all available in 24mg strength for you to enjoy. What Will Happen After May 2017? If the Tobacco Product Directive is still enforced like planned, e liquid over 20mg strength and bottles over 10ml size will be prohibited from May 2017. After the Brexit vote and the UK deciding to leave the EU, some vapers thought this might be the end to these regulations imposed from the European Parliament. However, as the UK was required to make this directive into UK law, the vote to leave the EU hasn’t really changed anything. There may be some review of laws brought in from the EU in the future, but unfortunately it doesn’t seems like vaping and the Tobacco Products Directive is very high up on the list for politicians. This means as it stands high strength e-liquid will be discontinued from May 2017 so from now until then, this is the time to stock up on high strength juice if you don’t want to be left without a supply in the near future. Checkout all our strengths and flavours here.